So my paper notebook won’t become an organizer. It was originally meant as a diary. Later I started using it to prepare texts, such as emails, for my touch typing practice. Now, I do the same with some of my blog posts, when I’m not near a computer. Typing the stuff afterwards already acts as a first or second editing step. And for this purpose, I picked up one of the tricks from the first link, PigPogPDA, from the list mentioned above: Using Post-It tags to mark the current “collection point”, that is the page where I want to continue writing, and the “processing point”, meaning everything before this has been processed, i.e. typed, already. 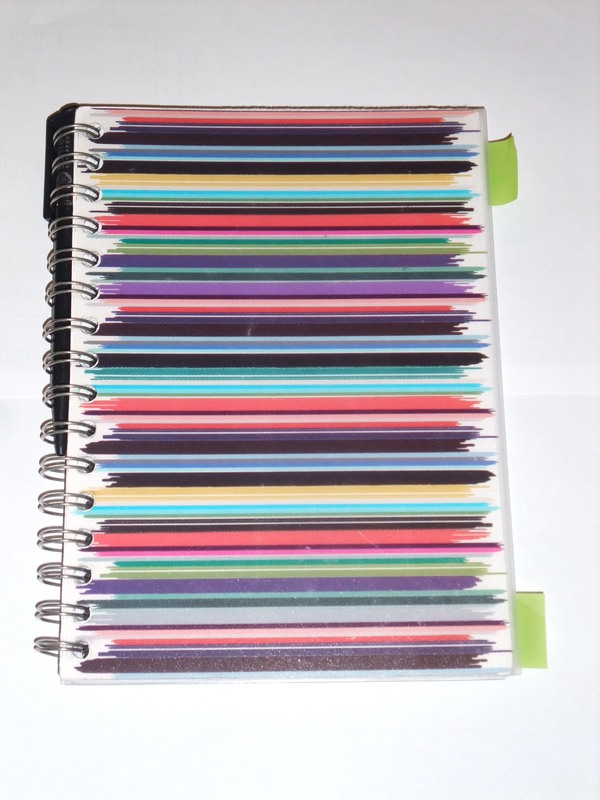 This entry was posted in Reading & Writing, Tips & Tricks and tagged moleskine by almutei. Bookmark the permalink.